Summer time is finally here and itiba has everything you need to maintain flawless, glowing skin in the season’s heat and be summer time fine! One of the biggest concerns for many during this steamy season is the appearance of dry skin. Being outside in the blazing sun for hours on end at the beach, in the park or doing other outdoor activities exposes the skin to the harsh elements of the sun. This can cause the skin to develop fine lines and wrinkles while appearing dehydrated, peeled, irritated and inflamed. Couple that with harsh soaps plus extra long baths & showers and you’ve got yourself a recipe for dull, dry skin. How can you avoid the appearance and annoyance that comes along with dry skin? Here are itiba’s four ways to protect and care for your skin from head to toe this summer and keep you summer time fine! When the summertime heat turns up, our bodies can become dehydrated very quickly. Who can remember to drink water throughout the day when we’re busy lounging on the beach drinking boozy beverages and sugary drinks? However, it’s important to drink plenty of water when the weather is a scorcher to ensure your skin remains hydrated and your energy levels stay high. Give your recommended 64 ounces a fun twist by infusing it with fruits and herbs like strawberries, lemon, mint, lime and cucumbers. Washing your face too often is another common cause for dry skin. During the summer, our bodies produce more sweat due to the increase in temperature, causing many to take more showers and wash our faces to rid ourselves of that sticky, yucky feeling that comes with 90+ degree temperatures. Wash your face only twice a day to prevent excessive drying of the skin. itiba’s Midnite Rain Body Soap is the ideal product for facial cleansing due to its detoxification capabilities. For oily and acne-prone skin, our Carib Lime Body Soap will cleanse and clear the skin without stripping it of oils. Change up your long, hot shower routine this summer and take a 5-10 minute cool (not cold) shower instead. Hot water strips oils from the skin and the longer the shower, there’s a greater chance that your skin will lose its moisture, becoming dried out and dehydrated. Sooth and nourish dry skin with our Papaya Body Polish! Made with smoothly blended cornmeal, unrefined Shea Butter and natural oils, the luscious scent of papaya nectar will whisk your senses away to a tropical paradise while it gently exfoliates and moisturizes without drying your skin like many sugar and salt scrubs do. Time is of the essence when it comes to moisturizing your skin. Be sure to moisturize within 3-5 minutes of taking a shower or washing your face and hands to lock in the skin’s moisture. Always pat your skin dry with a towel after washing your body, face or hands to ensure skin remains damp prior to moisturizer application. For instant relief of dry, patchy and irritated skin, get your hands on our Tranquil Sea Body Butter. Like all of our body butters, its non-greasy formula absorbs quickly into the skin while deeply conditioning and moisturizing. Get your summertime fine by implementing these small changes in your routine. They will make all the difference in the quality and texture of your skin this summer, even all year round! For products rooted in Mother Earth from the teachings of our Caribbean ancestors, use itiba’s skincare line of lotions, soaps, body butters, polishes and more. 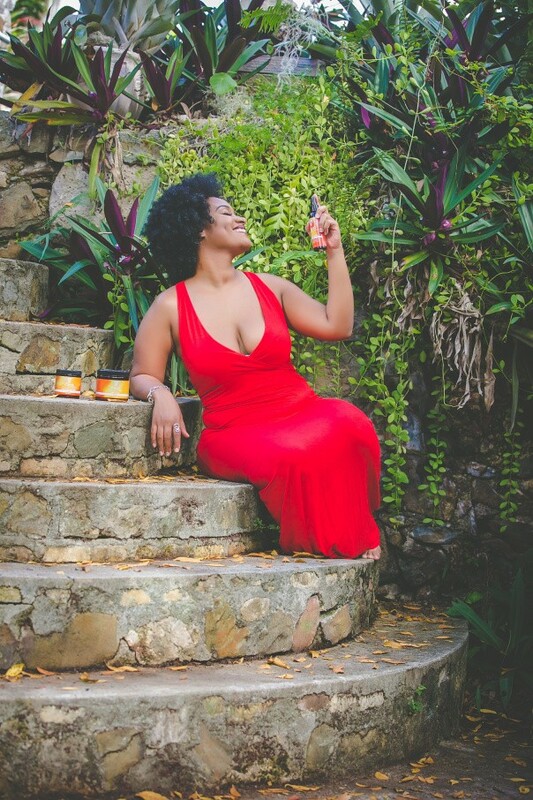 Made with the natural ingredients of plant oils and butters plus no synthetic detergents or harsh chemicals, each itiba product is carefully and thoughtfully handcrafted in St. Croix, U.S. Virgin Islands. Discover a new skin care with itiba, a natural skin care company, at www.itibabeauty.com!